The firm behind a recent effort to launch a cryptocurrency-tied (ETF) has unveiled a set of new indices related to bitcoin and other digital assets. Goldman Sachs analysts predicted that the price of bitcoin could surge as high as $8,000 in a note distributed to clients earlier this week. 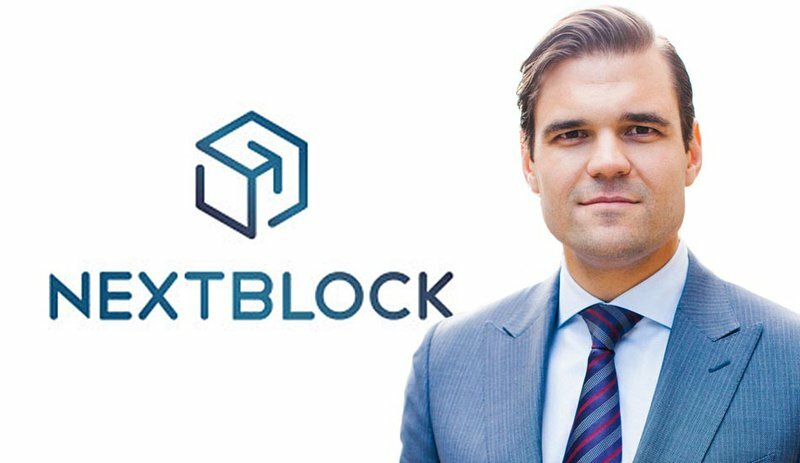 Alex Tapscott, CEO of NextBlock Global, a venture capital company investing in blockchain technologies, announced in a press release yesterday that he is canceling their plans to go public through a reverse takeover (RTO) of Nobelium Tech Corp., a company listed on the Toronto Stock Exchange (TSX). NextBlock Global raised $20 million in their initial oversubscribed fundraising in July 2017 and had hoped to raise $100 million in the public offering. They planned to invest in digital currencies, blockchain hosting platforms and blockchain-based applications. CIBC and investment bank Canaccord Genuity (a former employer of Tapscott’s) were underwriters on the deal, but CIBC pulled its support from the young venture capital firm amid the allegations. According to BNN, clients of CIBC received an email saying, “CIBC has withdrawn as an agent from the NextBlock Global Limited private placement.” CIBC was not available for comment. Sources have told BNN that Canaccord Genuity remained in the deal. An article in Forbes last week detailed complaints from Kathryn Haun, Vinny Lingham, Dmitry Buterin and Karen Gifford that Tapscott had circulated an investor deck that incorrectly listed them as members of the NextBlock advisory board. When Is an Advisory Board Not an Advisory Board? A thread on Twitter about NextBlock recently included some comments about how advisory boards have become routine and are often used as window dressing for making ICO pitches and, therefore, they aren’t really “advising” as such. One user commented that likely only 50 to 60 percent of advisory boards are legitimate anymore, and put the NextBlock situation in a different light, implying that it’s become common practice to dress up a proposal with photos of known experts. Andreas Antonopoulos, well-known author of “Mastering Bitcoin,” says on his website that he does not accept invitations to sit on advisory boards and that he will not discuss projects publicly if he does work as an advisor. Vitalik Buterin has also had to make it clear several times on Twitter that he is not an advisor for a number of firms that have touted his advice. What could have been a major scandal for both the Tapscotts (father Don and son Alex) has been averted by this move, but how much long-term damage both NextBlock and the Blockchain Research Institute will sustain to their reputation remains to be seen. The father-son Tapscott team co-founded the Toronto-based think tank Blockchain Research Institute, and co-authored the book “Blockchain Revolution: How the Technology Behind Bitcoin Is Changing Money, Business and the World,” which has been translated into more than 20 languages. The Blockchain Research Institute is holding a Members Summit this week in Toronto. Members of the think tank include CIBC, Microsoft, IBM, Fujitsu, Accenture, Tencent, Bell, Nasdaq, FedEx, Interac and the Governments of Canada and Ontario. The post NextBlock CEO Alex Tapscott Cancels Plans to Go Public and Will Return Money to Investors appeared first on Bitcoin Magazine. In October 2017, LendEDU, a marketplace for financing loans, credit cards and other financial products, polled 1,000 Americans asking a series of questions related to Ethereum, Ripple and initial coin offerings (ICOs). They did this to gain insight into the average American’s perception of cryptocurrency. The poll was conducted by online polling company OnePoll, which acted as a third party and was able to provide an age and gender breakdown of respondents. The poll was answered by 1,000 Americans ages 18 and up over two days, from October 27 to 30. At the time of writing, with a market capitalization of $28.49 billion, Ethereum is the second-largest cryptocurrency, about one-fourth the market capitalization of Bitcoin. Since the start of 2017, the price of ether has grown from $7.98 to $298. The survey showed that American awareness of Ethereum trends toward a younger (millennial) demographic with 58.49 percent of Americans between the ages of 18 and 24 having heard of the cryptocurrency and 32.08 percent of the same demographic planning to invest in Ethereum as an asset for the future. 47 percent less Americans have heard of Ethereum compared to Bitcoin based on a LendEDU survey conducted a month prior on Bitcoin. When asked whether or not they would invest in either cryptocurrency as an asset for the future, Americans 25–34 showed the most interest. The number of these respondents saying they would invest in Bitcoin was only 6.68 percent greater than those saying they would invest in Ethereum. On the opposite end of the spectrum, only about 1.34 percent of Americans 55 and older plan to invest in Ethereum as an asset for the future. Across all age groups, 37.80 percent of respondents were unsure about investing in Ethereum, which could indicate a lack of knowledge about cryptocurrency as much as general uncertainty about future investing. At the time of writing, with a market capitalization of approximately $8 billion, Ripple is the third-largest cryptocurrency (depending on whether or not you count Bitcoin Cash). That’s one-fifteenth the size of Bitcoin’s market capitalization. Since the start of 2017, the price of Ripple has grown from $0.006 to $0.201. As can be seen by these numbers, LendEDU’s survey respondents showed awareness and investment interest in Ripple at similar levels to those for Ethereum. 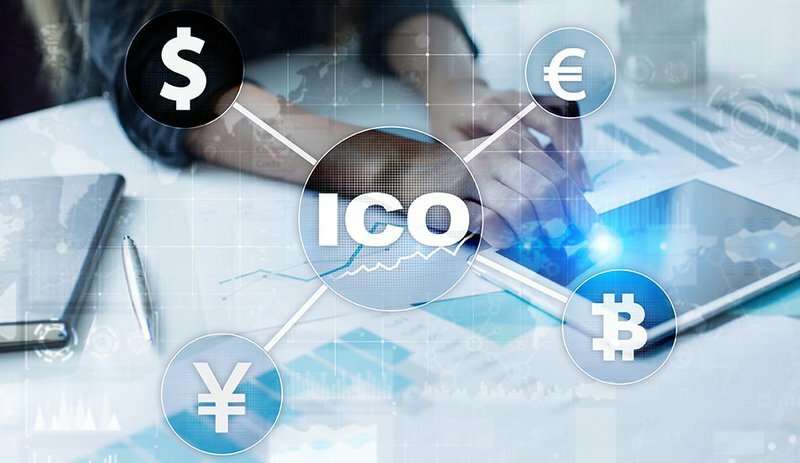 It’s no secret that initial coin offerings (ICOs) have risen in popularity this year as much for their innovative investment opportunity as their regulatory controversy and scams. In September 2017, China declared ICOs to be illegal, while the United States Securities and Exchange Commission (SEC) exposed two different ICOs claiming to be backed by real estate and diamonds to be frauds. As seen in this chart, almost two-thirds of the American population polled are not sure whether or not ICOs are illegal, while 21 percent believe that investing in them is illegal. As a comparison, in the Bitcoin survey from September, only 10.69 percent of respondents incorrectly believed it was illegal to own bitcoin in the U.S.
Across all questions, LendEDU found a group of respondents who have yet to hear about these specific cryptocurrencies but are open to the idea, or at least unsure, about investing in them. All this to say, in the U.S., cryptocurrency cannot be considered mainstream: Ethereum is not quite as well-known as Bitcoin, most are unsure about whether or not ICOs break the law, and Ripple’s market capitalization is not a strong indicator of its success as a currency. The post Survey Polls American Awareness of Cryptocurrencies and ICOs appeared first on Bitcoin Magazine. The price of bitcoin has slid below $7,000 just a day after climbing above the $7,600 level. Ripio’s peer-to-peer lending platform uses smart contracts to reduce lender risk and increase lending in the developing world. The post Giga Watt Partnership Boosts Crowd-Gaming Ecosystem appeared first on Bitcoin Magazine. A national non-profit group for state medical boards is launching a new blockchain pilot focused on digital certifications.